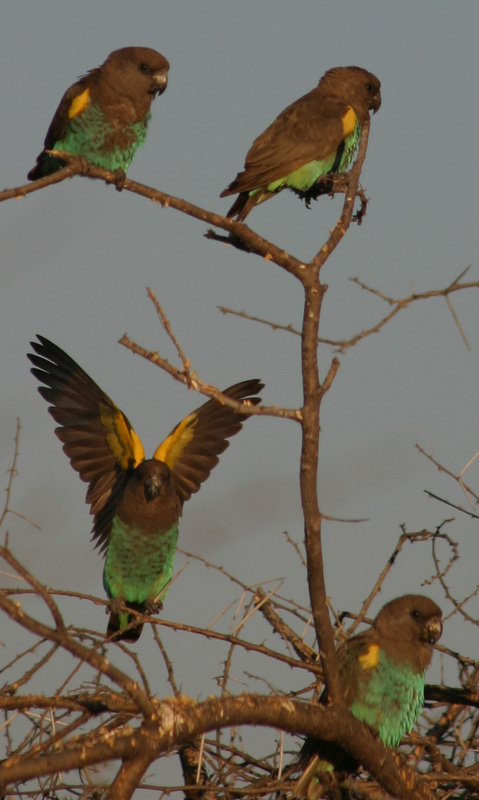 A recent review of the Meyer’s Parrot range revealed that 15 of the 18 nations this species inhabits had undergone significant losses in forest cover. 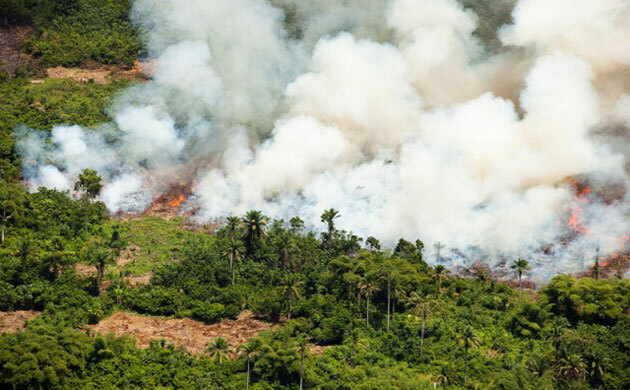 Deforestation rates of 15% and higher were not uncommon and several countries, such as Kenya and Malawi, have less than 1% of their original forested area remaining. Unfortunately, a lack of records over the last 30-40 years prevents us from being able to assess the effects of deforestation on bird populations. We simply do not know how well African parrots are adapting to their rapidly changing environment. 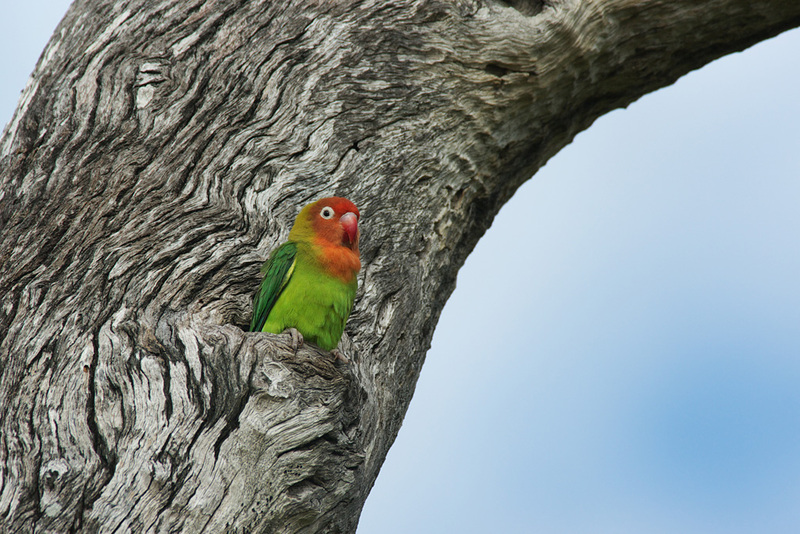 The World Parrot Trust Africa seeks to coordinate a continent-wide survey of all African parrot species over the coming years to determine which species are of immediate priority for conservation intervention. The goal is to secure healthy populations of all African parrot species and sufficient suitable habitat, while also providing them adequate protection. 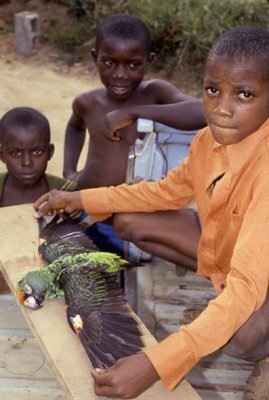 Unregulated trade in African parrots peaked in the 1980s and ’90s, and still exists today. This lucrative black market industry is fueled by profiteering middlemen who exploit wild bird populations. In 2005, the Senegal Parrot was the most traded bird on the CITES Appendix II, with over 45,000 individuals being removed from forests each year. 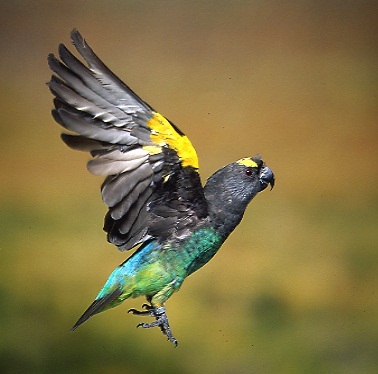 In Namibia, cross-border trade in wild-caught Ruppell’s Parrots in the 1990s resulted in their disappearance from many parts of this species’ distributional range where they were once abundant. 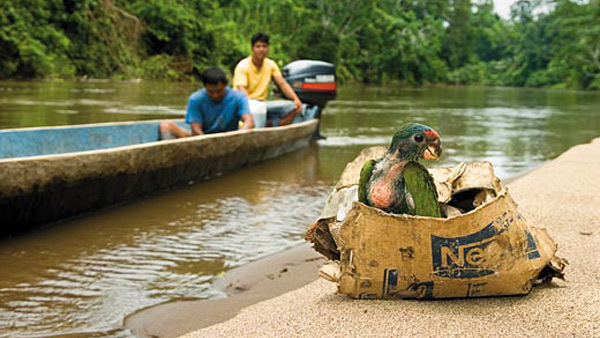 Today, African parrots remain among the most traded in the world. 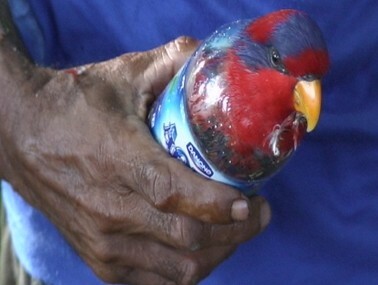 Wild birds are sometimes smuggled in plastic bottles. According to the most conservative estimates, over three million African parrots have been snatched from the wild over the last 25–30 years. 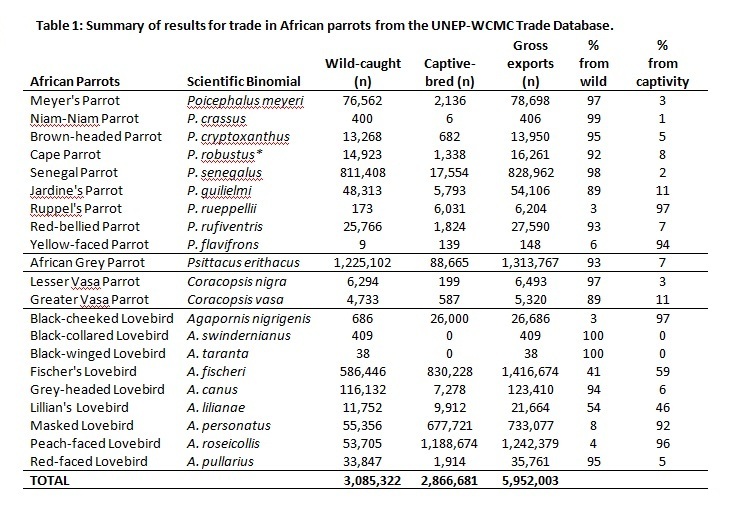 As can be seen in Table 1 (below) there are, several species, such as the African Grey Parrot, have been almost exclusively sourced from the wild over the last few decades. Immense and insatiable demands from China, Taiwan, Singapore and other parts of Southeast Asia are driving international trade in African parrots. In South Africa, a legal loophole allows these birds to be legally imported into the country, as long as they have been checked and approved by a South African veterinarian before leaving the source country. 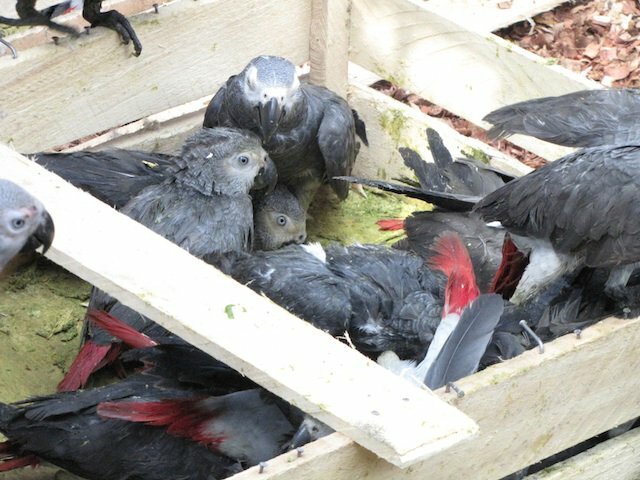 This allows for thousands of wild-caught African Greys to be imported into South Africa every year, from sources like the Democratic Republic of Congo (DRC) and West Africa. Most of these parrots then enter the local market, but the best specimens are re-exported to the fast-growing markets in the Middle East and, especially, in the Far East. 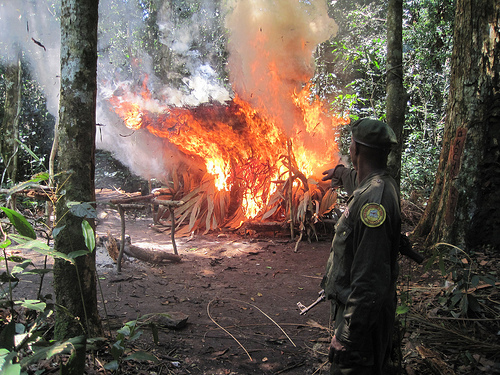 There are three things we need to do to protect all wild populations from the devastating impacts of this trade. 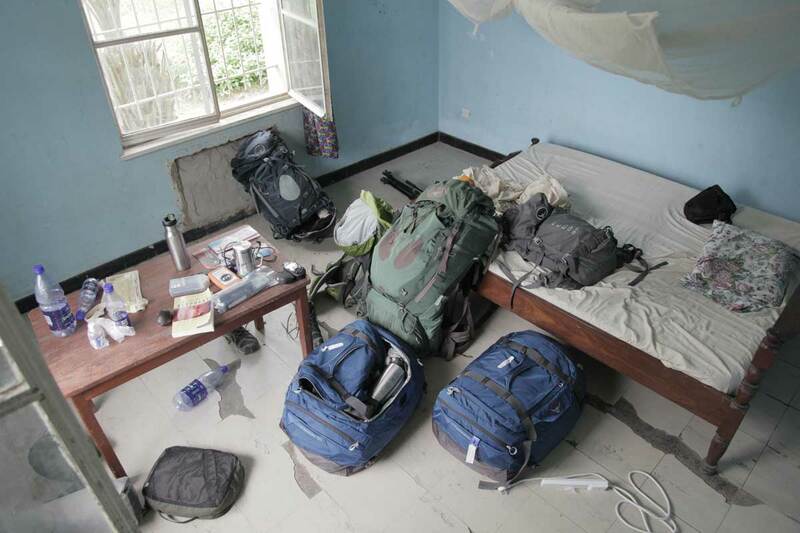 First and foremost, we must minimise the number of African parrots being taken from the wild. Secondly, we must also support captive breeders that adhere to strict guidelines and standards concerning the animals’ care and well-being. Finally, it is imperative that we get out into the African forests and determine whether the continued removal of parrots from their habitat poses a serious threat of extinction or if it is, in fact, sustainable. Africa’s parrots are charismatic, colourful, and larger than life. They have found their way into the hearts and minds of private collectors, parrot enthusiasts, and aviculturalists around the world. 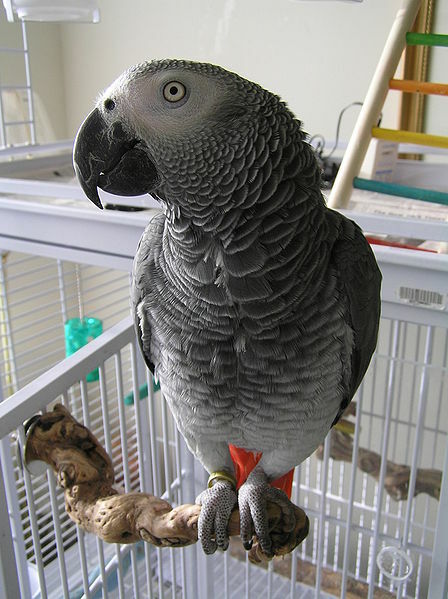 Most African parrot breeders that I interact with are extremely passionate about these birds and have specialized in raising our Poicephalus parrots, Agapornis lovebirds, and the iconic African Greys. The connection fostered between bird-keepers and captive birds can be profound, and can provide us with insights that cannot be achieved through field research. We need to use this resource to the birds’ advantage and draw on the keepers’ passion for these animals to stimulate positive change for wild populations of African parrots. Bird-keepers and aviculturalists must realize the important role they can play in the conservation and research of the forest icons. I would like to call upon global birdkeepers to join World Parrot Trust Africa and become part of this constructive movement towards a future that holds healthy African parrot populations in the wild, attained with the support of a well-managed captive community of feathered ambassadors around the globe. We, on the African continent and around the world, are the proud custodians of a unique group of parrots native to the forests and savannas of this wild and primordial continent. We must recognise our responsibilities as stewards of these “forest ambassadors”, and take action to ensure a bright future for them. 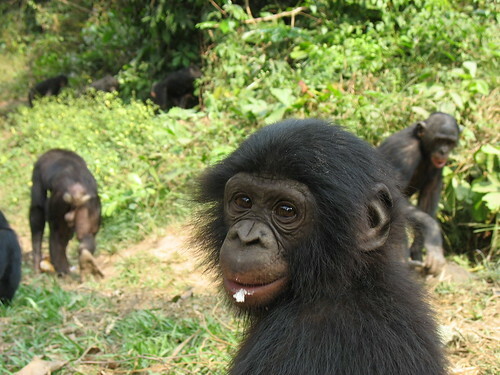 Please help World Parrot Trust Africa support them on this rapidly changing continent. 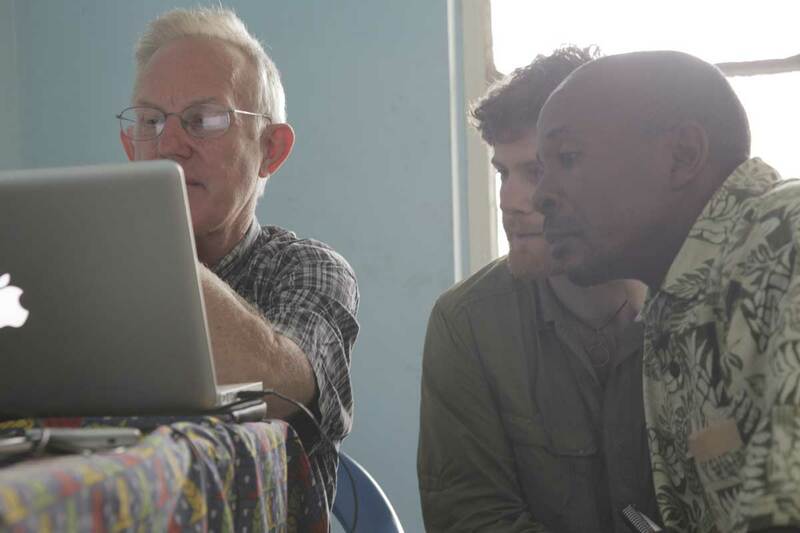 To join the World Parrot Trust Africa, and for more information on how you can get involved in or contribute to African parrot conservation projects (e.g. 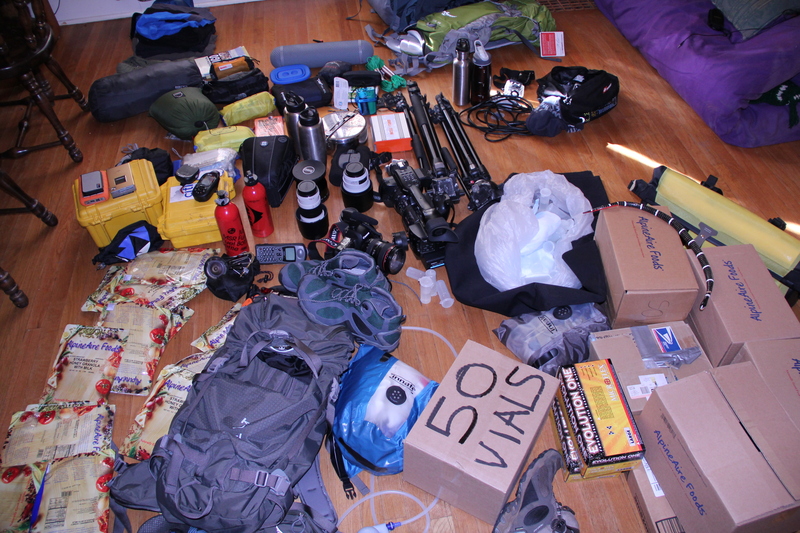 Cape Parrot Project), please contact me at: boyes@worldparrottrust.org or PO Box 149, Hogsback, 5721, South Africa. 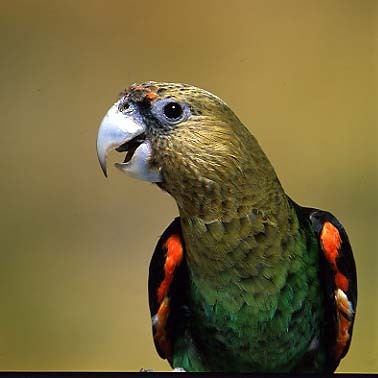 Learn about Bush Warriors’ alliance with World Parrot Trust by clicking here. Together we are on a mission to raise awareness about the plight of the world’s parrots, with goal of changing the future for these majestic creatures and preventing their extinction!